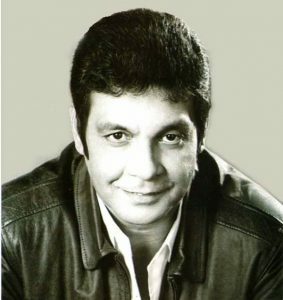 Fernando Poe, Jr. or Da King was known as the King of Philippine movies. 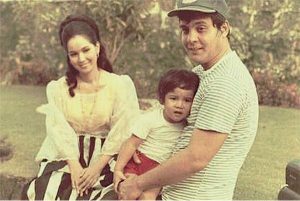 His real name is Ronald Allan K. Poe, son of Filipino actor Fernando Poe Sr and Elizabeth “Bessie” Kelley, a Filipino-American. 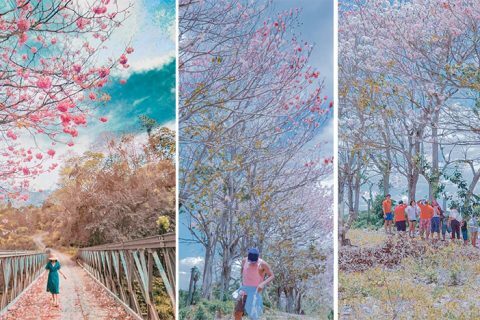 The action star rose to fame after playing a long career in action films of Philippine cinema, including “Ang Panday”, “Kahit konting Pagtingin”, “Dito sa Pitong Gatang”, and “Aguila”. 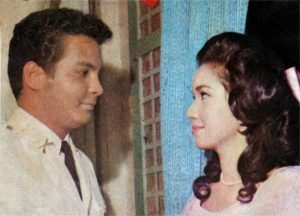 He was married to actress Susan Roces (Jesusa Sonora) in a civil wedding in December 1968 and later married in a religious service. 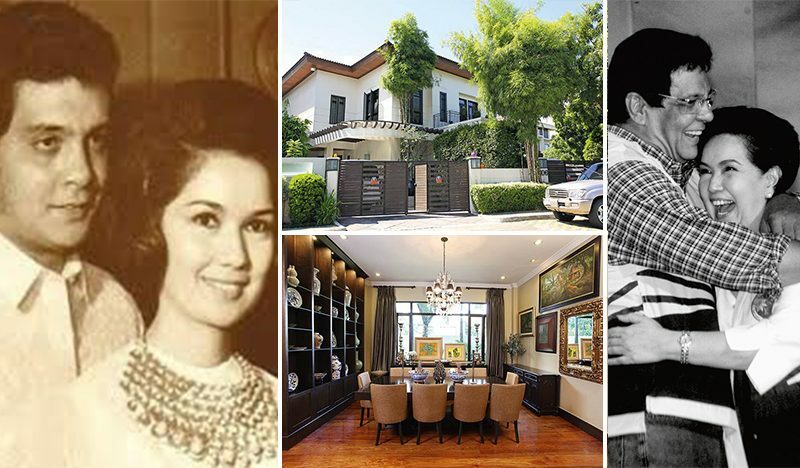 Wherein their primary sponsors were then-President Ferdinand Marcos and First Lady Imelda. 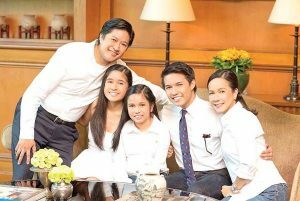 The celebrity couple also adopted a daughter, Grace Poe, who is now a senator. Grace has three children; Brian, Hanna, and Nika. 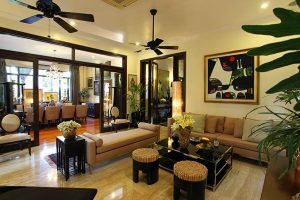 Da King has also a a three-storey heritage American home in Quezon City, which also has the exteriors of modern houses such as clean lines, simple shapes, single-pane windows, and pristine white walls. 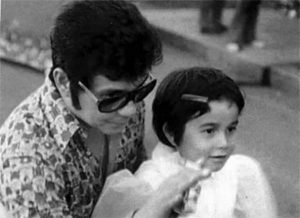 Several months after the untimely death of her beloved father, Grace Poe decided to move from to the Philippines. She came home to help preserve her father’s legacy and returned to her native land to grieve with her mother and the rest of their family. 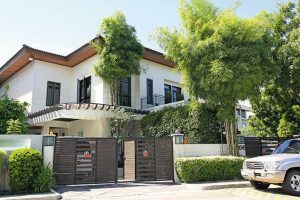 After 12 years of living in the United States, Sen. Grace Poe, together with her husband Neil, and their three, have moved to a new home in Quezon City. 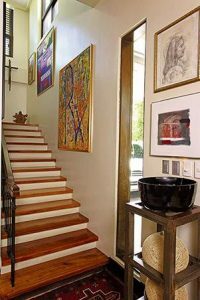 Let’s take a short glimpse at the action Da King’s three-storey heritage American home that is located in Quezon City. Defined by clean lines, simple shapes, single-pane windows, and pristine white walls. These are the common things that we often notice about the exteriors of modern houses. The traditional living area is completed with a few unique touches, these include a sarimanok painting by National Artist Abdulmari Imao and a pair of Chiquita stools by Kenneth Cobonpue. 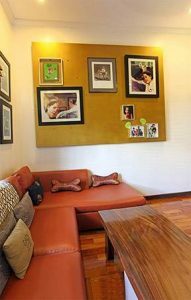 A painting of Grace’s daughter in a ballet tutu made by artist Sandra Feller was placed at the corner of the living area beneath a wooden console table topped with a golden Buddha. It is really impressive when homeowners use precious heirlooms that have belonged to their family for years. The dining room also contains Antique furniture pieces which have a sentimental value for their family. Grace and Neil have placed two tables in this dining area. These tables were owned by Misael Vera, Neil’s grandfather. He was the head of the Bureau of Internal Revenue during President Diosdado Macapagal term. Being the daughter of the King and Queen of Philippine Cinema and 2016 presidential candidate. 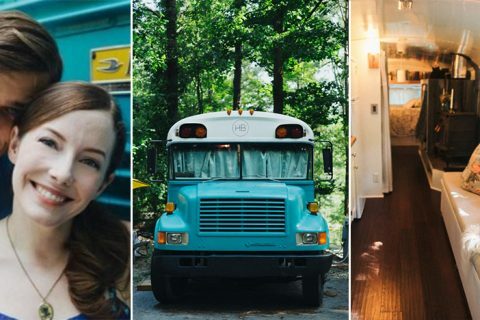 She is expected to host gatherings for family and friends. 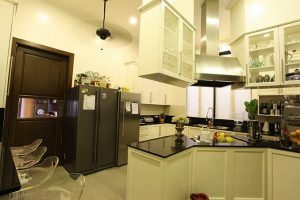 Thankfully, she has a double L-shaped kitchen, where she can prepare more food at the same time and can accommodate more people when they parties and reunions. 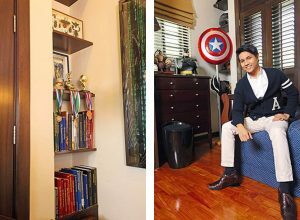 The informal living room serves as a treasure trove of Fernando Poe and Susan Roces souvenirs. Photographs of showbiz’s original royal couple during their younger years together are displayed here. This room can be accessed through the family den and the dining area. You would notice that for the windows, instead of the usual blinds. It is installed with plantation shutters. 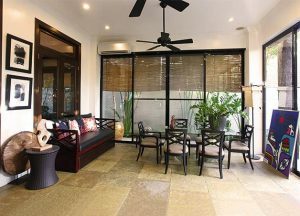 Looking at the family den, Grace can surely appreciate the view of the garden and backyard swimming pool. 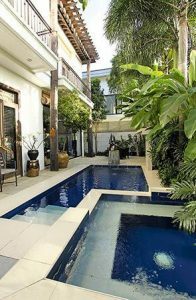 This no more than 10 feet long backyard lap pool offers a great spot to relax. This staircase leads to the second floor, where all the bedrooms are located. You will see Grace Poe’s collections of painting hanging on the walls. A wrought iron chandelier brighten this space. The second-floor hallway contains this vintage waist-high Oriental cabinet that adds an Asian vibe. The family room is furnished with an L-shaped sofa and is located on the second floor. This is the room owned by Grace’s daughter, Hanna. 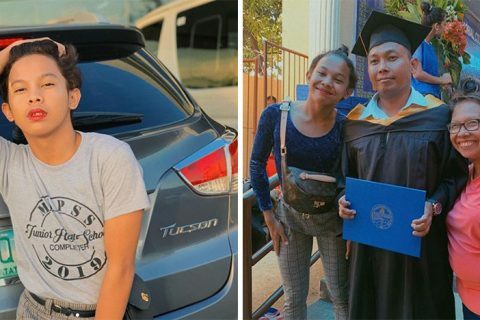 She is a high school student at a prestigious school in Makati City. While their eldest child’s room is filled with different movie posters. Brian displayed all his trophies and medals that he got from sports competitions at the Ateneo.